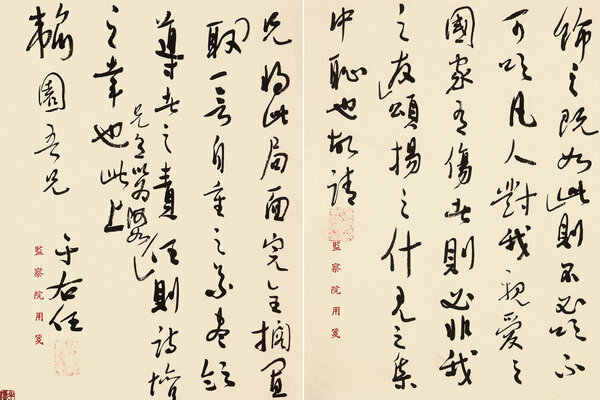 It has been a shared belief among practitioners of traditional Chinese ink-and-water art that an artist can only be considered a true master when they become adept at all of the four disciplines of painting, calligraphy, composing poems and designing seals. 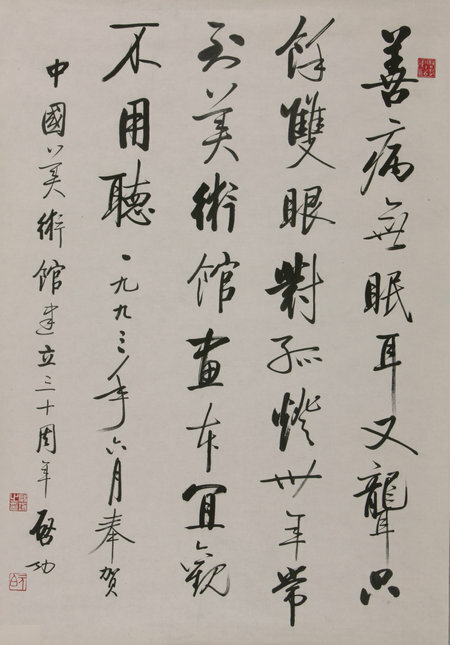 For example, ink master Qi Baishi (1864-1957) is known for the meticulously detailed paintings he created. 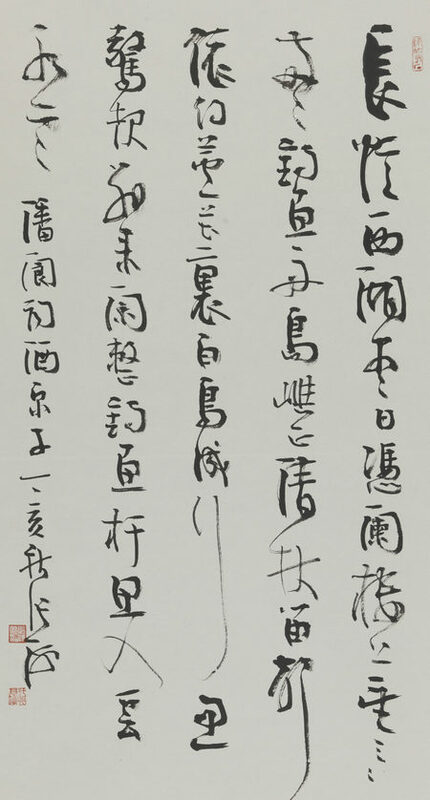 But he said himself that he was best at composing poems, and his ability to craft a quality seal and write calligraphy came second and third respectively, while painting was his least greatest achievement of all. 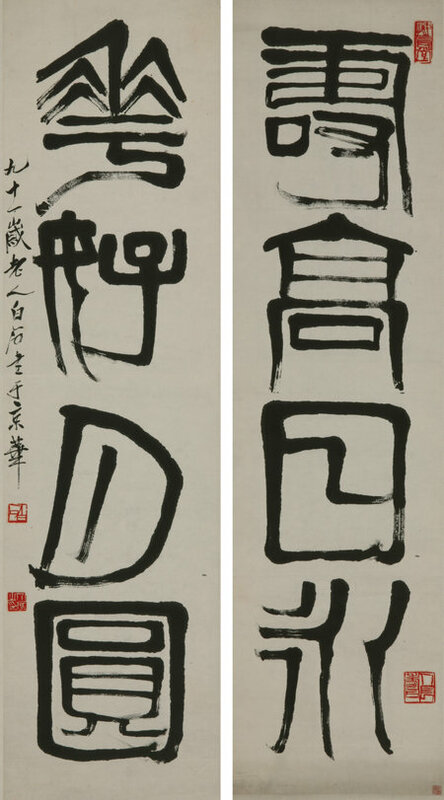 People can see if they agree with Qi by visiting a calligraphy exhibition now running at the National Art Museum of China in Beijing, where Qi’s calligraphic pieces are on show. 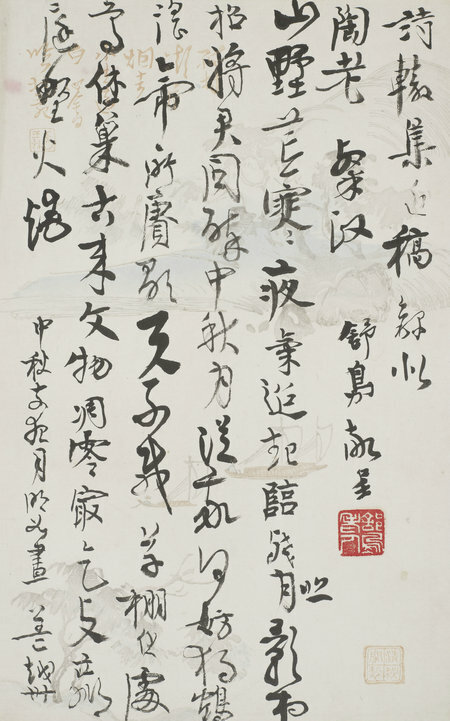 The exhibition, titled A Beautiful New Era, shows more than 90 works by modern calligraphers, such as Yu Youren, Gao Ershi and Zhao Puchu, through Jan 21. All of the works are from the museum’s collection.